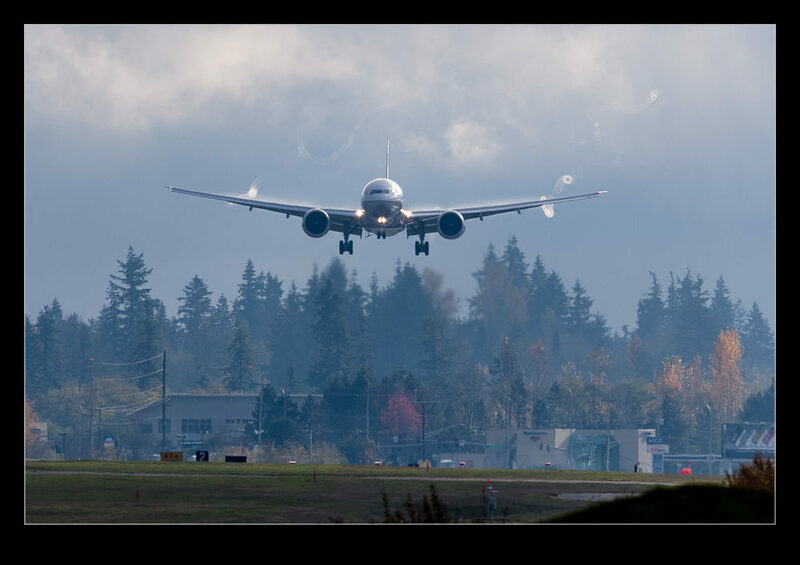 Damp and cloudy days are not always ideal for aviation photography but they can provide some interesting options. 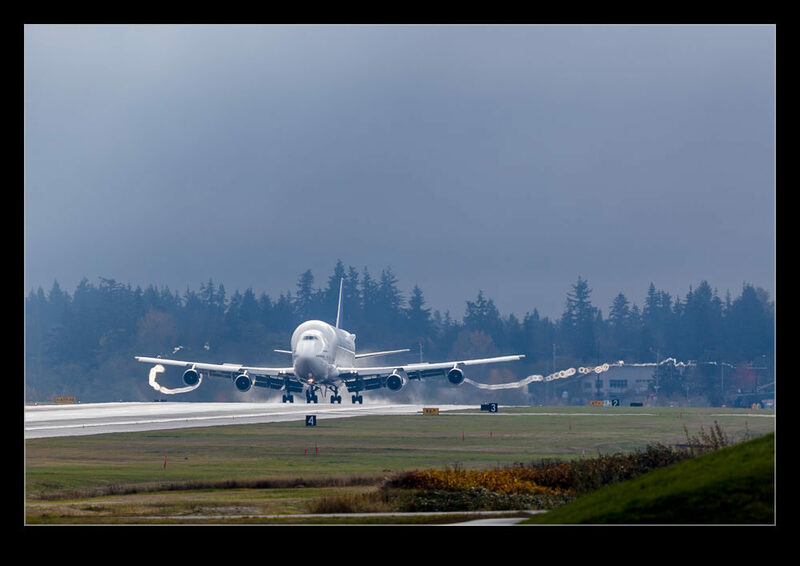 One weekend I was up at Everett when they were approaching from the south. The jets broke out of the cloud at quite low level but there was some light from the side coming under the clouds. The damp air meant that the jets were pulling some conspicuous vortices as they flared for landing. They were a long way off but it was possible to get some shots of them. The 747 produced vortices that were easier to see but the 787s didn’t do too badly either. 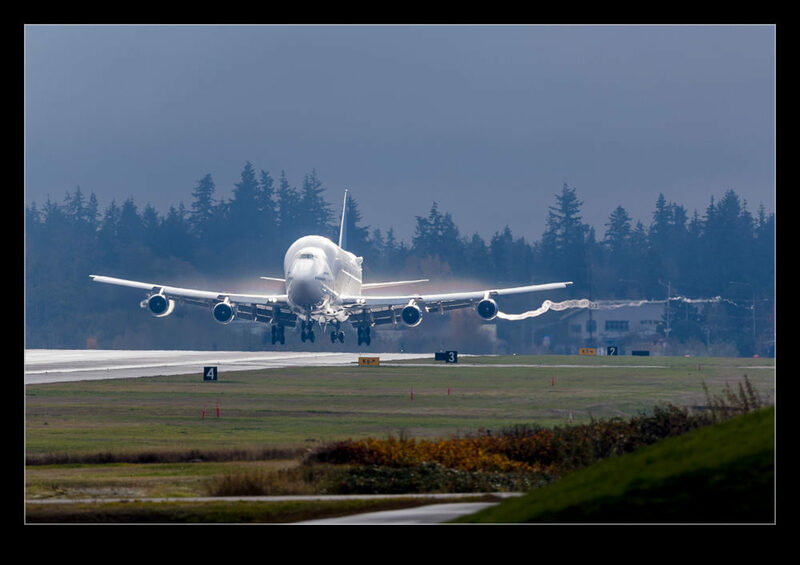 This entry was posted in aircraft, civil, Pacific Northwest, photo and tagged 747-400lcf, 787, aircraft, airliner, airplane, Boeing, civil, cloud, damp, dreamlifter, dreamliner, Everett, jet, kpae, moisture, Paine Field, photo, vapor, vortex, vortices, washington. Bookmark the permalink.